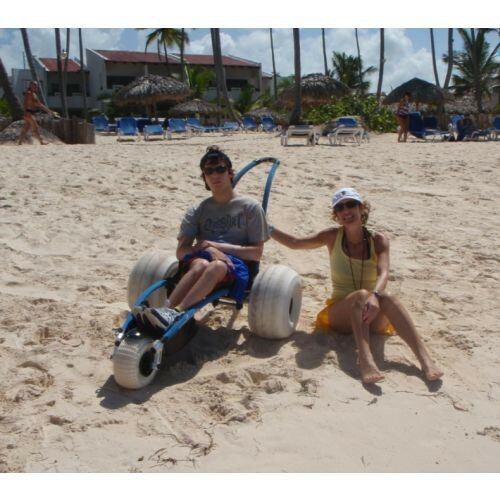 The Hippocampe Beach & All-Terrain Wheelchair, by Vipamat brings the outdoors to life for individuals with disabilities. What was once off limits is now accessible with its all-terrain sport capability. 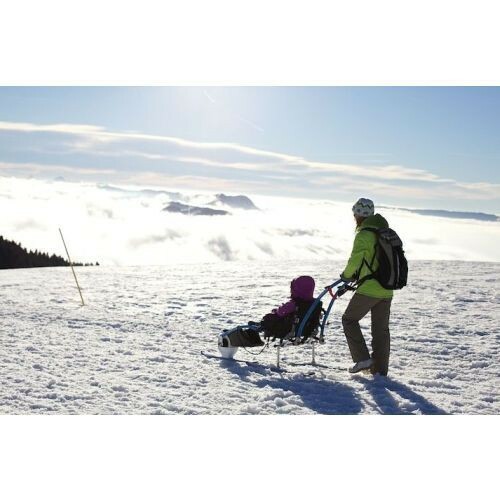 The versatile wheel options make it possible for users to enjoy hikes, swim, ride on sandy or rocky beaches and even traverse a mountain in the snow. 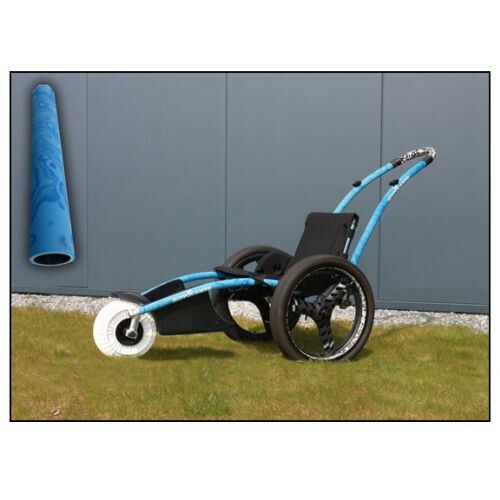 The removable push bar adds style but also functions when the user needs assistance. 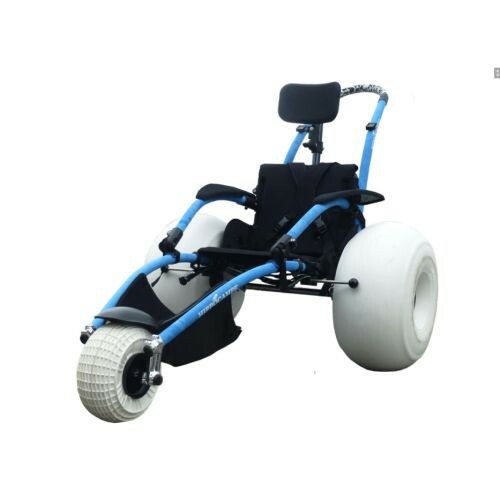 The Hippocampe Wheelchair mobility aid is built to be safe and support up to 286 pounds. 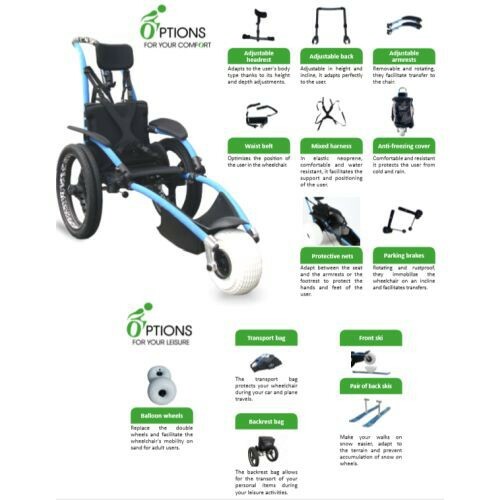 The wheelchair is designed with a modern flair and its style and functionality has received numerous design awards. It's made with durable stainless steel and anodized aluminum materials to stand up to salt water and sand. The frame is coated with protectant foam to be safe to the touch when exposed to extreme temperatures. 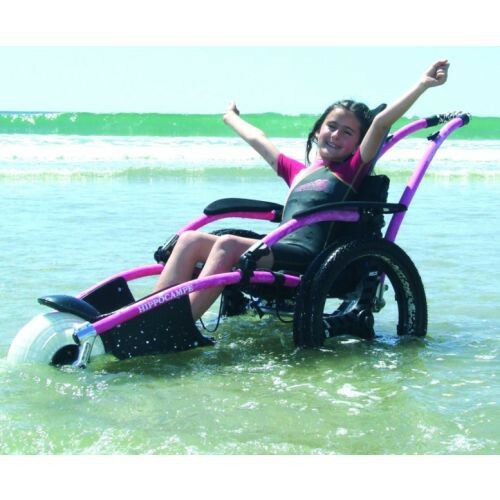 Waterproof seating also makes aquatic activities possible. The thick hydrophobic foam won't take in water and the cover dries quickly to avoid skin irritation. 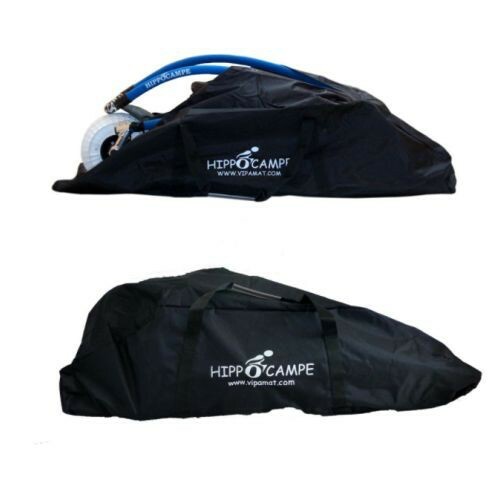 Choose from two Hippocampe frame color options with a standard fix and reclining back option or a height adjustable and reclining back. Use the size chart to get the best fit with sizes ranging from small to x-large. 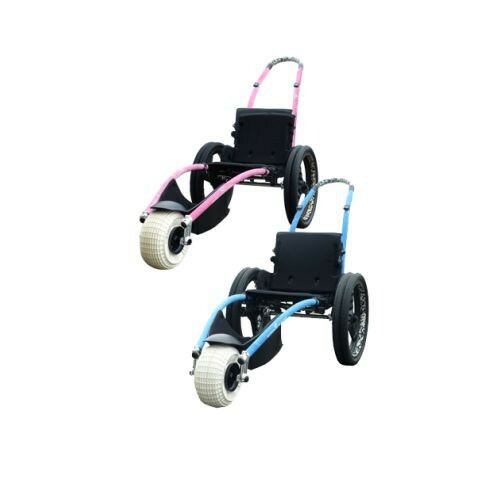 A push bar and dual wheels come standard with the Hippocampe. 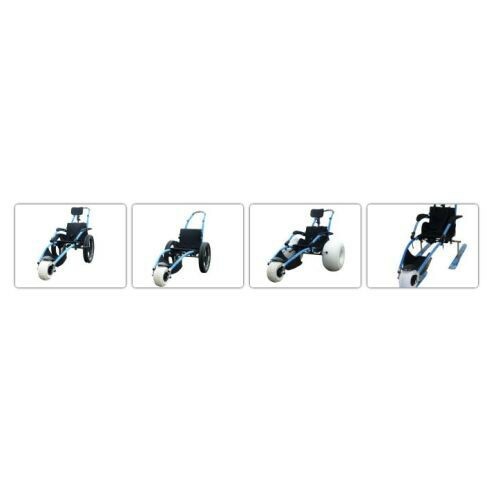 Add the balloon wheels and skis to make sure you get the most out of your wheelchair. 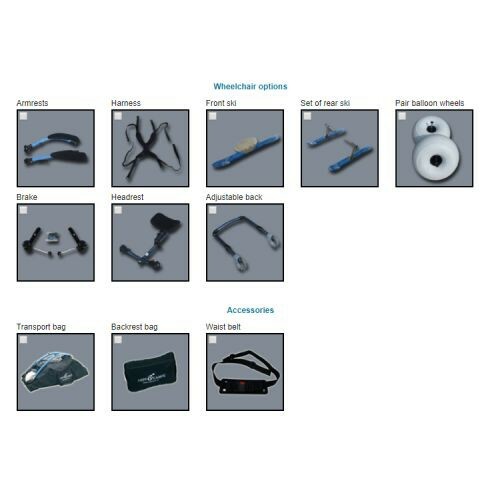 The frame is also foldable and compact to transport well on any adventure. Some of the optional accessories includes a custom transport bag and armrests, footrests a headrest for added riding comfort.